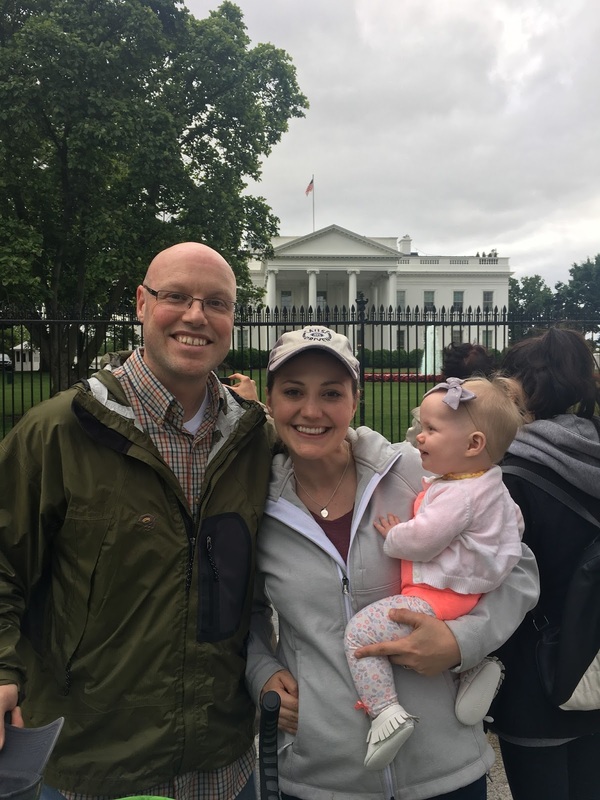 We saw all the sites on our family vacation to DC earlier this month! 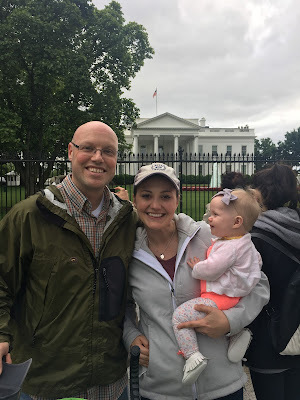 A couple of months ago, I wrote about our upcoming family vacation to DC. I was in planning mode for our first vacation with our new baby girl. I wanted to use this post to share with you all how the trip went! In short, we had an exhausting, exciting, incredibly enjoyable time! 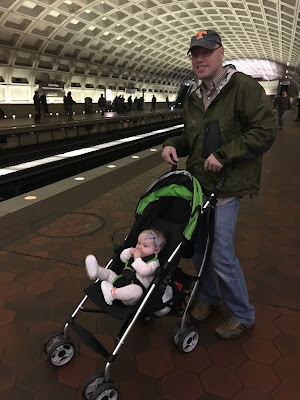 It was definitely an adventure, navigating the city, and weather, with our almost 8 month old. We went into this trip with a tentative schedule, but with the mind set of "be flexible". The easiest way to achieve this was to make a list of things we definitely wanted to try to do, rather than making a packed itinerary. We had an idea of our plans for each day, but also just went with the flow! 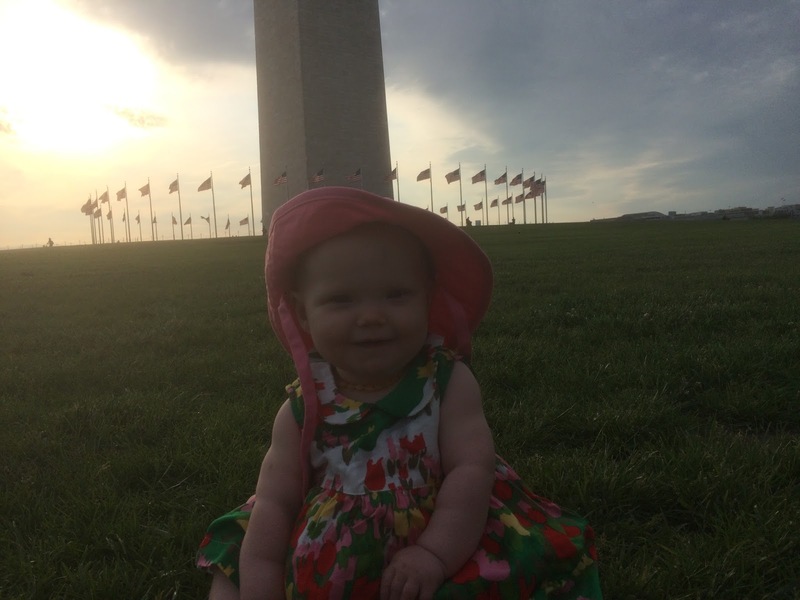 Seeing all the sites with our little one was so much fun! Our girl has never been on a set schedule, which has sometimes driven me crazy. She breastfeeds when she wants and naps when she needs to. This worked out incredibly well, because we didn't have to worry about getting back to the Air BNB for naps, and we didn't have to fuss with packing bottles. With a comfortable nursing cover (and easy to nurse in clothes for myself), a easy-to-transport stroller, and our Tula baby carrier, she was pretty much set! This experience made me appreciate our lack of schedule a little more because it showed me how adaptable my baby girl can be! 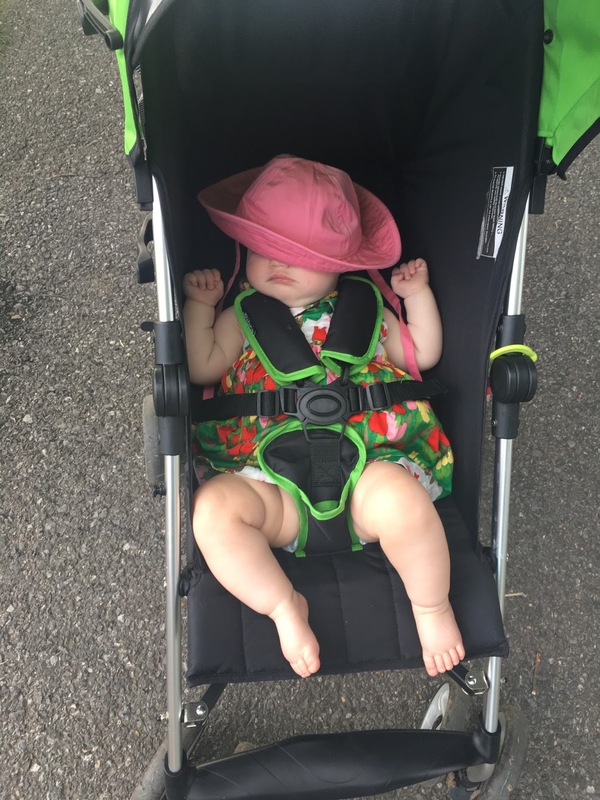 Stroller nap for the win! The weather on our trip was crazy! Daily high temperatures ranged from 54 to 85 degrees! We had sunshine, rain, and cold rain! We used our weather apps on our phones more in the week leading up to our trip, and each day we were there than we ever have! We packed extra layers for everyone! When the forecast is 54 degrees and rainy... don't let it get you down! 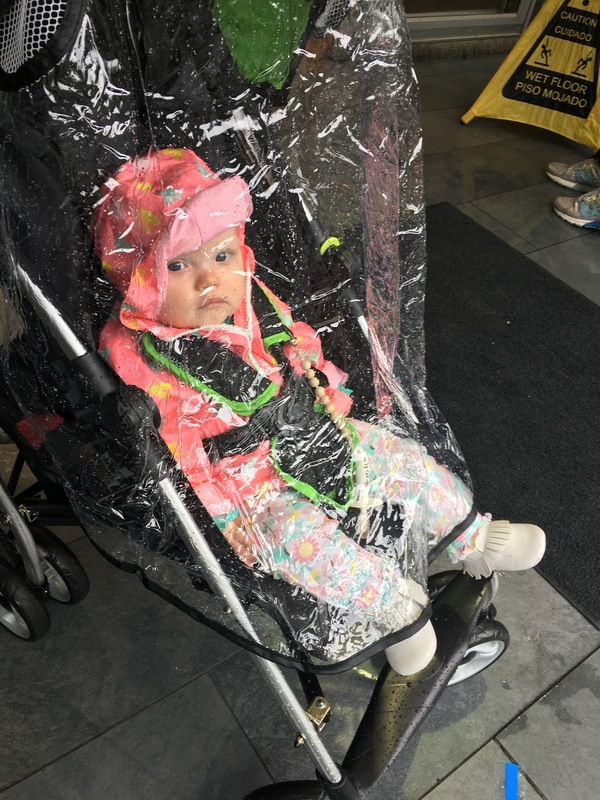 Just grab extra layers and a rain cover for the stroller! 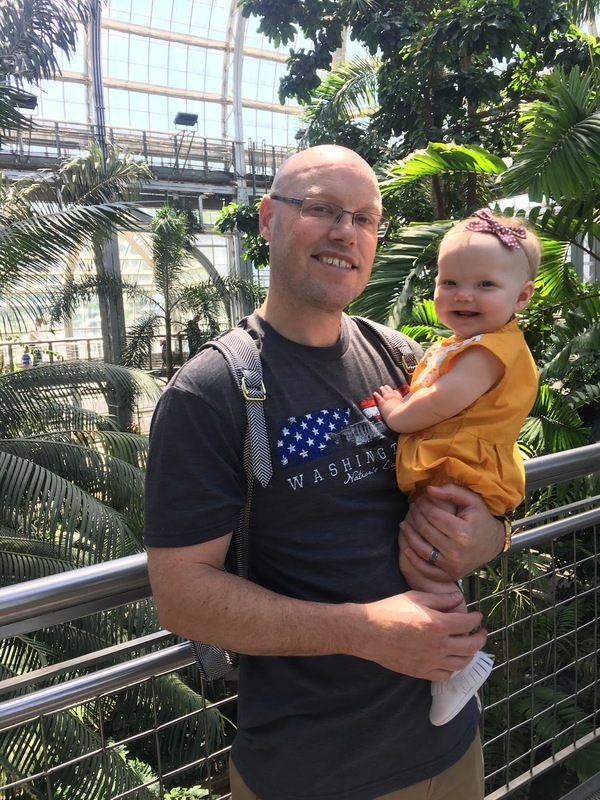 I've decided that traveling with a 7-8 month old can be an ideal age to explore as a family. She was old enough to enjoy the stroller walks and riding in her Tula, she was easily transportable, and very flexible. 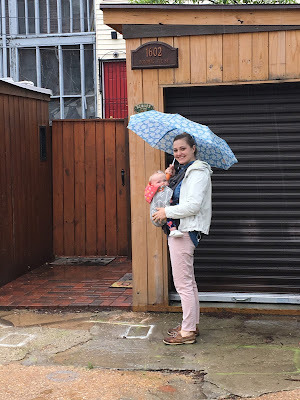 Our summer infant stroller, the Tula baby carrier, the baby rain jacket from Target, my Copper Pearl nursing cover, and our JuJuBe diaper bag that is WATERPROOF (this turned out to be everything on our rainy days!). None of these items were provided to me for a review... these are just the most useful items we had for this trip with a babe. My people 💗💗💗And our WATERPROOF diaper bag! The Tula came in handy on rainy days as well! This stroller was perfect for navigating the metro system in DC! DC was a great place to go because it had a lot of free things to enjoy. That way if we needed to keep walking to keep little bit happy, or leave a public tour at the air and space museum early to find a place to nurse, we hadn't lost any money. It's also a wonderful place to visit because there are so many incredible things to see! It is a place that I look forward to revisiting as our little girl grows up! 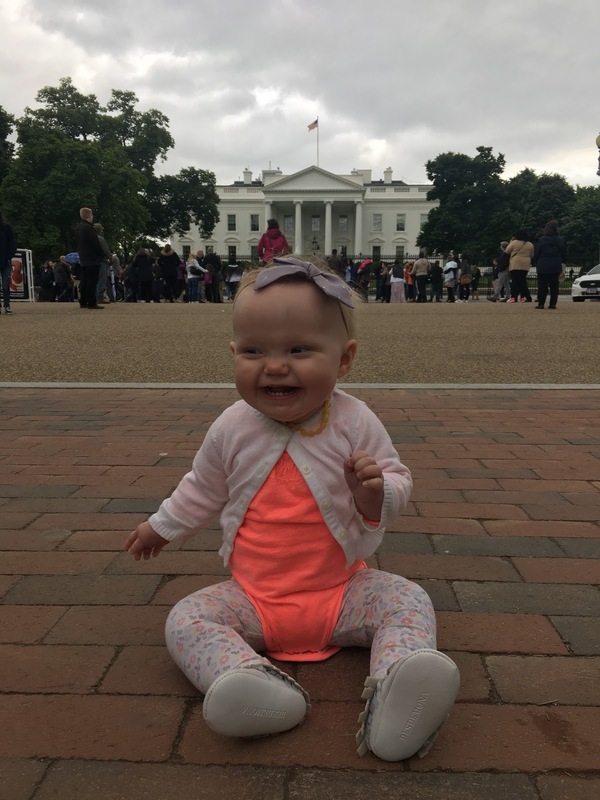 Who knows, maybe she'll even be the president one day!